Black Panther, created by stan lee and jack kirby and introduced in captain america civil war, is the much anticipated film event of the year. Here, Chadwick Boseman talks about being in the film. 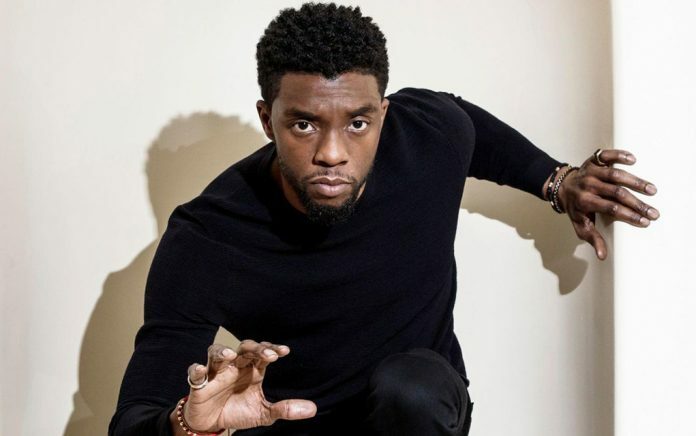 Long before he was cast as the first black superhero of the modern Marvel era, and before he brought the Avengers-adjacent King T’Challa of Wakanda to life in his own groundbreaking standalone tentpole, Chadwick Boseman was keeping notes on what a “Black Panther” movie should be. “I can remember several times writing in my journals, ‘That would be a cool thing to see in Black Panther’ — ideas from real life, from real history, or real archaeology or architecture,” said Boseman, 40, taking in the sunshine on a Beverly Hills hotel terrace in the midst of a frenetic press tour. “The projects that I end up doing, that I want to be involved with in any way, have always been projects that will be impactful, for the most part, to my people — to black people,” said Boseman, a playwright and theater director turned actor and, now, blockbuster movie star. “To see black people in ways which you have not seen them before. “Having first come to wide attention as baseball legend Jackie Robinson in 2013’s “42,” Boseman went on to play James Brown in “Get On Up” the following year and then-future Supreme Court Justice Thurgood Marshall in last year’s “Marshall.” That run of critically acclaimed performances cemented Boseman as a go-to actor for (real life) heroes even before the high-profile “Black Panther” gig came along. Fifty-two years after debuting in the pages of Marvel Comics, the character created by Stan Lee and Jack Kirby is getting his biggest pop culture berth yet. Directed by “Fruitvale Station” and “Creed” helmer Ryan Coogler and co-written by Coogler and Joe Robert Cole, “Black Panther” arrives in theaters Thursday night on a wave of overwhelming critical acclaim and is poised for a domestic box office opening in the range of $150 million. Boseman and Coogler, 31, have already made an impact with their take on “Black Panther,” a sprawling work of Afrofuturistic fantasy flair exploding its way out of the Marvel Cinematic Universe formula and flourishing in the absence of, well, the Avengers. Instead of Tony Stark and his crew, it’s Boseman’s T’Challa and his fellow countrymen and women — played by Lupita Nyong’o, Daniel Kaluuya, Danai Gurira, Forest Whitaker, Letitia Wright, Winston Duke and Angela Bassett, leading a predominantly black cast — who take center stage. The lineup of black talent in front of and behind the camera, unprecedented for a movie of this scale, has already established Coogler’s film as a standard-bearer for black representation in Hollywood. Even the setting — the fictional African country of Wakanda, a tech-forward tribalist nation that has long kept its advances, and its stockpiles of the powerful metal vibranium, secret from the outside world — is revolutionary in the comic book genre. Coogler’s world-building is transporting and vibrant, weaving the DNA of African cultures into the fabric of the film with the help of collaborators both new (veteran costume designer Ruth E. Carter) and familiar (production designer Hannah Beachler, cinematographer Rachel Morrison). But it’s within the fraught dynamic between the hero and his primary adversary where “Black Panther” deftly explores subversive and probing concerns around race, history, heritage and identity. Building off T’Challa’s introduction in “Captain America: Civil War,” Boseman steps fully into the hero’s suit with stately gravitas as the newly crowned king wavers between his late father’s isolationist principles and the impulse to open Wakanda to the world. In the pro-cess, he encounters a new threat in the form of a mysterious American dubbed Killmonger (Michael B. Jordan, who has starred in each of Coogler’s films). “Most African Americans have had a moment where they’re like, ‘I know I’m of African descent — but I don’t have that connection,’” said the South Carolina-born Boseman. “That’s something that needs to be healed. That’s something that’s broken and has to be made whole. That conflict within the movie, and the conflict between an African American and his African (counterpart), is one that has existed since colonialism and since slavery. He’s excited for young people, especially black men and women, to see themselves reflected onscreen. “The thing that I’ve noticed is that I have brothers from the continent — people from Nigeria and Mozambique, Sierra Leone, Senegal, South Africa — coming up to me and saying, ‘I know you’re from here, but you represent what we are back home.’ It’s touching to me that they get to see an African character onscreen and that they identify with him. Back in 2013, Boseman was overseas in Zurich promoting “42” when he got the career-changing call from Marvel’s head honchos. Walking into his first meeting with Marvel’s cinematic brain trust, including studio head Kevin Feige and executive producers Louis D’Esposito, Victoria Alonso and Nate Moore, put those fears at ease. The battle to realize Black Panther in the right ways began before Coogler came onboard, as Boseman shaped the character for his “Captain America: Civil War” debut. One of his hardest-fought victories was keeping T’Challa’s accent grounded in his African roots, for which the actor traveled to South Africa to study and chose a South African dialect coach. The people of Wakanda had never been conquered by British or other colonists, but unnamed parties behind the scenes suggested T’Challa should have a British accent, an American one or even one just a few shades more European, said Boseman. Perhaps surprisingly for an expected blockbuster, “Black Panther” proudly represents not only a wide swath of heritage, history and celebratory black identity but touches openly on the ripple effect their presence and absence can have across generations. “The truth of the matter is Stan Lee and Jack Kirby and the whole Marvel bullpen created Wakanda and created T’Challa and created Black Panther and made him a smarter, more accomplished character than any of the other white characters, in the mid-1960s,” Feige told journalists at a press conference after the film’s premiere. The momentum behind “Black Panther” has been palpable even before the Los Angeles world premiere turned Hollywood’s Dolby Theatre into a royal affair, where everyone from Ava DuVernay to Snoop Dogg turned out in support. The feeling that the film marks not only a moment but the heralding of a movement in the industry is one Boseman has seen building around him in recent years. “I think we’ve been feeling it and talking about it before we could say it,” he said. “At this point, with this movie coming out, you can say it. Me as the lead on a poster, at a movie theater, beside John Boyega on a (‘Star Wars: The Last Jedi’) poster … You have ‘A Wrinkle in Time’ following both of those movies. You have ‘Atlanta’ and ‘Insecure’ and ‘Empire’; it is an interesting moment in film and TV. “It was different being at the (NAACP) Image Awards this year because people were genuinely excited about seeing each other and enjoying each other’s work,” he continued, citing the acceptance speech DuVernay delivered, which went viral. “Hollywood doesn’t have us in a position where we’re — there’s a term called ‘crabs in a basket’ — fighting over one spot, fighting for position. There’s a celebration to a certain degree of each other’s work. Ahead of opening his first $200-million movie, Boseman thought to 10 years ago. That’s when everything changed thanks to a move from New York, where he was primarily in theater, to Los Angeles, where his film career took off. Boseman, who has a BFA in directing from Howard University and helmed two short films, plans to direct more. He also hopes to make the thriller “Expatriate” for director Barry Jenkins, which he co-scripted, as one of his next projects. But with T’Challa confirmed to return to screens in this summer’s all-hands-on-deck Marvel epic “Avengers: Infinity War,” Boseman admits that “Black Panther” commitments have made it trickier to figure out his next steps.